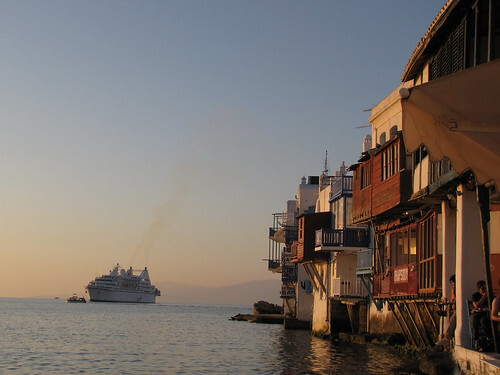 Protestors claim the ships are ruining the city’s culture and beauty, while opponents praise the economic growth and jobs provided by the cruise industry. The truth is that Venice locals lost the battle to tourists a long time ago. At one moment the scene is everything you expect of Venice; medieval churches, domes and bell towers, and water sparkling in the canal in front of you. But quite suddenly, this picture can be dramatically and controversially transformed. A colossal, gleaming white cruise ship hoves into view. “The beauty of Venice is undoubted. But the city pays for it like a prostitute that is too beautiful.” Photo by Dottie Day. At the height of the season, these giants emerging from the sea one after another can bring as many as 30,000 visitors in a single day. Some resident Venetians bitterly oppose this. The row about the ships goes to the heart of the controversy over quite how much Venice should give itself over to tourism.